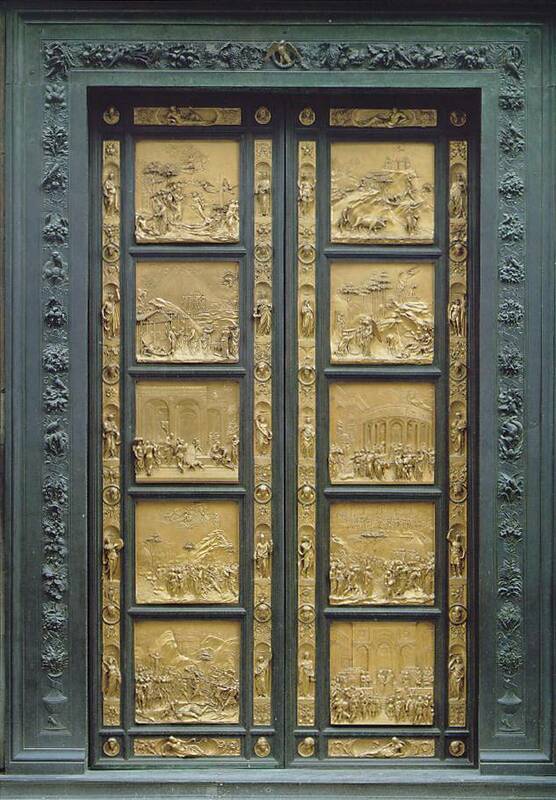 These doors to the baptistery, a part of the Florence Cathedral complex, remain a centerpiece and landmark of Florence and are a stunning example of bronze work of the period. There are two sets: this one, the second, was emblematic of the early Renaissance with a heavier emphasis on naturalism. Ghiberti one a competition that ensured his workshop would produce these.